Apartment N. 195: It can accommodate up to 2 people, it is rented from 82 € per Night (not per person). 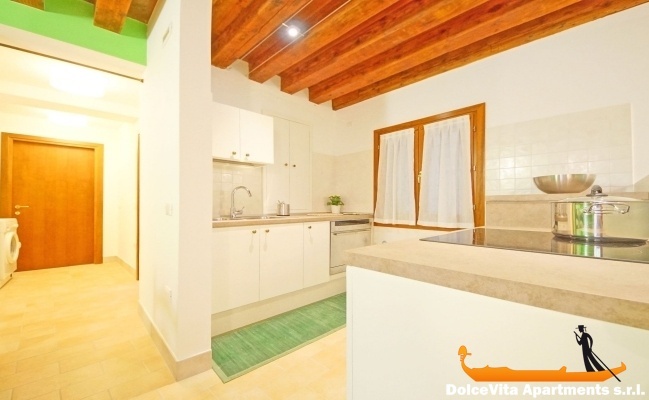 Venice Apartment Rental for 2 People Cannaregio: Cozy apartment for two people in Cannaregio district, perfect for a romantic weekend in the “Serenissima”, this apartment consists of a wide living area, double bedroom and bathroom with shower. 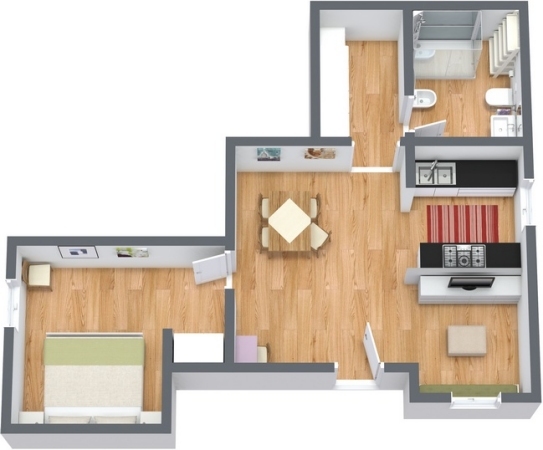 The kitchen is fully equipped with microwave oven, espresso machine, freezer, fridge and dishwasher. 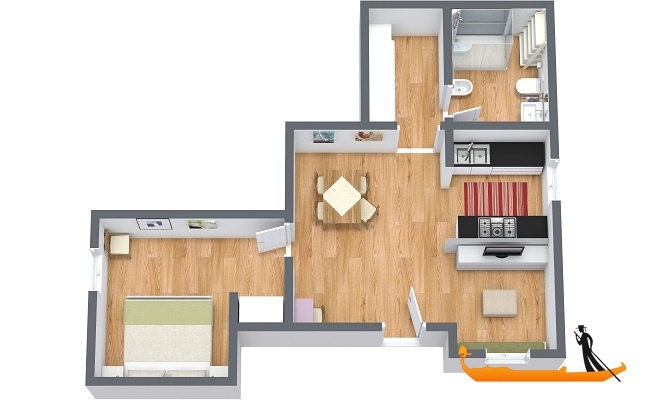 In the living area there is also a comfortable sofa and plasma TV, Wi-Fi and heating system are also available. 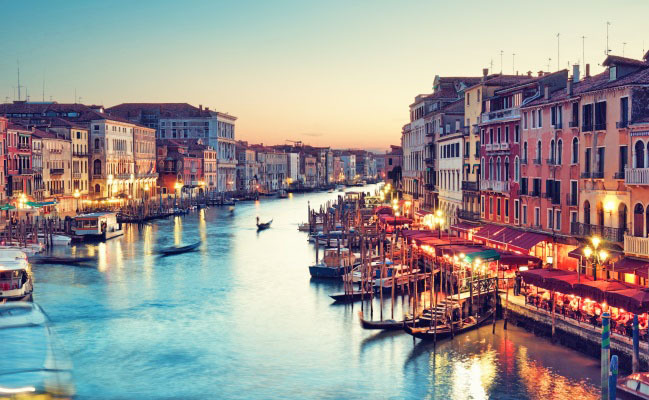 Just 5 minutes walking from the Rialto bridge and 3 minutes from the beautiful “Basilica dei Santi Giovanni e Paolo”, where are the frescoes by Giovanni Battista Lorenzetti. Thanks to its central position, the apartment is ideal for trips inside the lagoon, since it is only 5 minutes from the nearest waterbus-stops in “Fondamente Nove”. The apartment was perfect for us, only one downside it was a little dark (but I think that all Venice apartments on the ground floor must be in the same case) that's why I give 4 out of 5. We are satisfied with your site and we will advise you warmly. Apartment no 195 was a nice and comfortable place to stay in a quiet area in the north of Venice. The booking went smoothly and Giulio was very helpful in giving the information how to travel to Venice from the airport by boat. He was there to meet us at the second stop Fondamento Nuove. He took us to the apartment. There is a bakery round the corner and supermarket nearby. The apartment was very clean, cosy and comfortable. 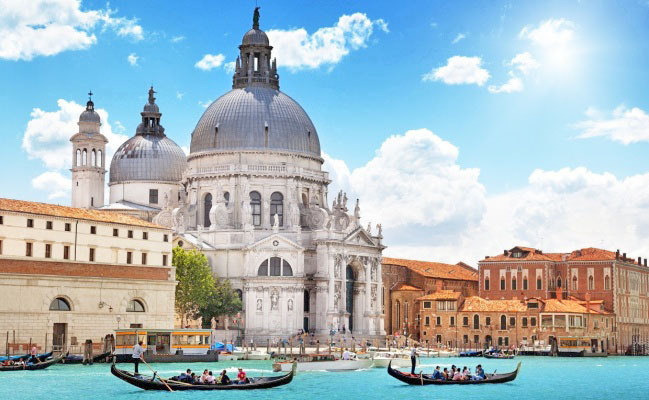 It is ideally situated for exploring Venice in any direction. 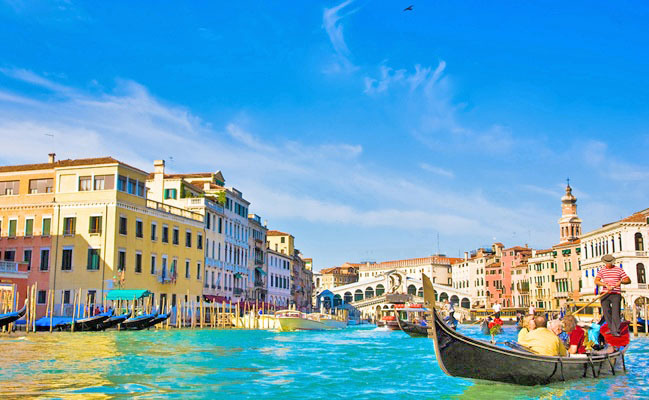 Perfect for the water buses at Fondamenta Nove and conveniently close for arrivals and departures. An extra mirror would have been useful and also some tea towels and a couple of wine glasses!! There are too many excellent restaurants close by to name. Anyone staying here will be very pleasantly surprised. The service provided by VeniceApartmentsItaly.com was excellent. Communication and responses to any questions etc was very good. This just helped to make our stay all the more enjoyable and relaxing. Apartment renovated and well kept. Well appointed apartment, but only downside lack of brightness. 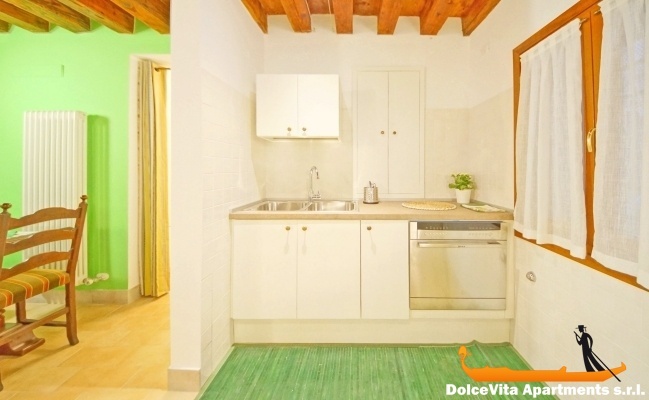 Perfect and quiet location in Cannaregio with a bakery just next, very appreciable. Welcome very kind, to be taken from the vaporetto to the apartment was very useful. Clean and recent apartment, impeccable bedding. Very well located. having all the necessary. (Dishwasher, washing machine unused for 8 days). Very comfortable beds. Apartment very well equipped, nothing is missing. All of our emails before we arrived had a response and the welcome is impeccable. We recommend this property that is ideally located. If we return to Venice we will contact the same provider.